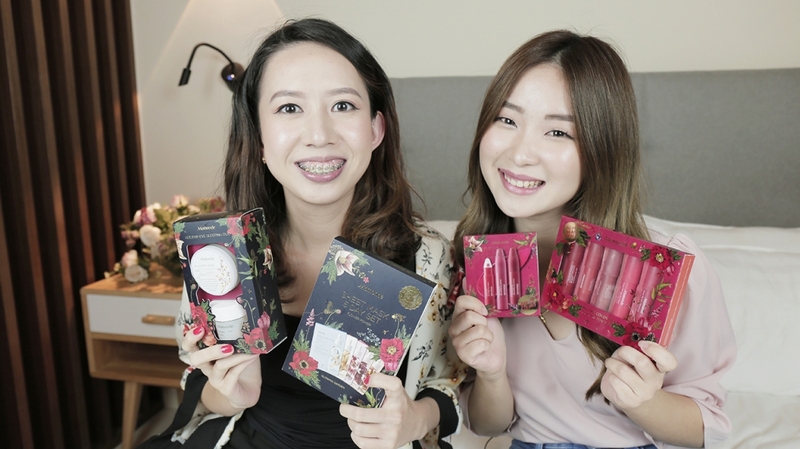 With the onset of the holiday season, we got our hands on a special #UnboxingWithPamper video for Mamonde’s ‘Glowing Garden’ Holiday Collection 2018 together with our beauty influencer friend, Jessica Chaw who happens to be a big fan of Mamonde! Mamonde, a flower-inspired beauty brand from Korea that aspires to use the power of flowers to awaken the feminine beauty in each woman through its flower science technology that is developed by its own R&D team, who passionately strive to discover the potential of flowers for the skincare products in Mamonde’s own botanical garden in Seoul. 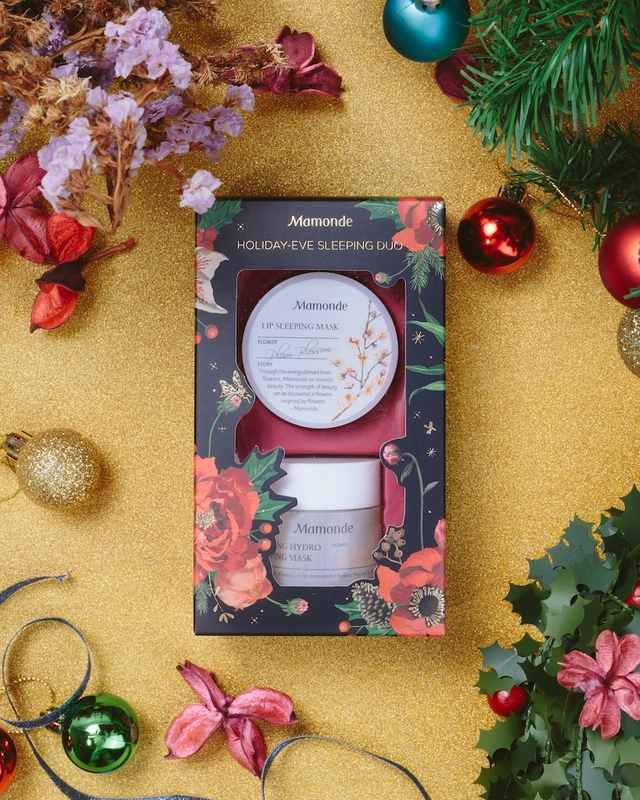 In line with its flower-inspired brand identity, Mamonde’s ‘Glowing Garden’ Holiday Collection is packaged in exquisitely beautiful boxes with striking metallic gold accents on a backdrop of garden flowers and traditional Christmas ornaments. Check out the unboxing video below to see what awesome gift sets you can get from this Holiday collection! 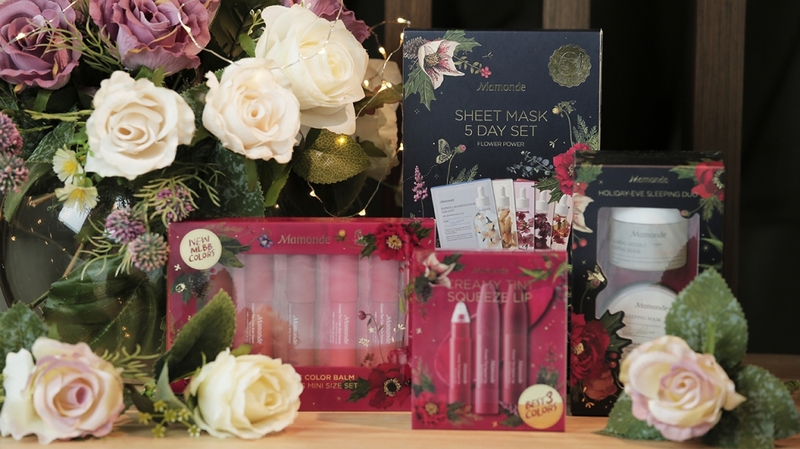 The 4 gorgeous sets under this specially curated Mamonde’s ‘Glowing Garden’ Holiday Collection that include the brand’s signature & best-selling products, are perfect gifts to shower your loved ones with, or as a gift for yourself, to brighten and warm this holiday mood and look! face the hydration that it needs. Both the Calming Hydro Sleeping Mask and the Lip Sleeping Mask are derived from natural ingredients like Calendula petals and Plum blossom extracts. Calming Hydro Sleeping Mask: This water-gel hydrating sleeping mask has real calendula petals in it and gives a cool feeling to soothe your skin. When you wake up the next day, your skin will be hydrated and brighter than before. Lip Sleeping Mask: This has a gentle peeling effect from apricot enzymes and AHA to reduce dead skin cells and plum blossom extracts to moisturize your lips overnight. You can also use it during the day as a lip balm. flower extract to effectively deliver nutrients to the skin. Narcissus sheet mask: A moisturizing mask that helps to replenish the skin with bountiful moisture after a productive day. Magnolia sheet mask: Effectively works to help brighten and clear the complexion for glowy, healthy skin. 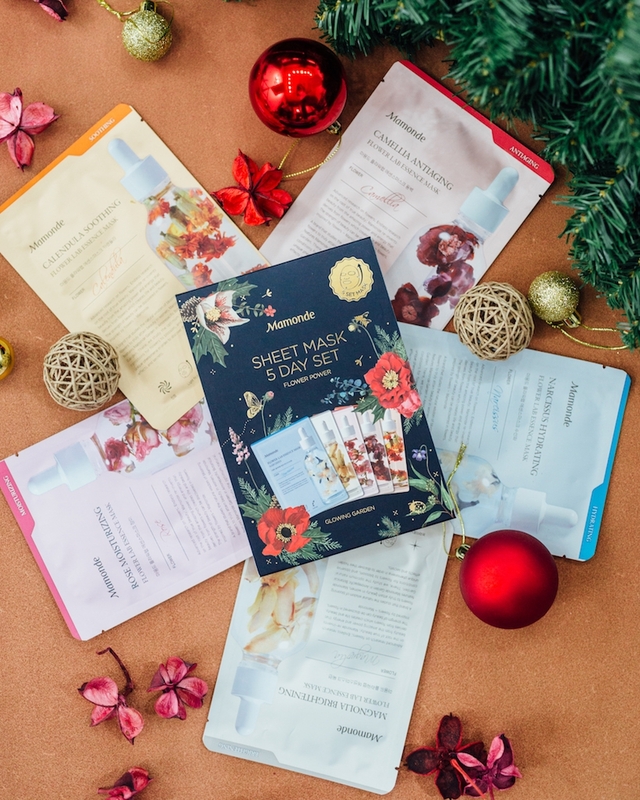 Rose sheet mask: A moisturizing mask that is perfect for days spent out and about as it helps to keep the skin happy and hydrated for long hours. Camelia sheet mask: Help nourish rough skin and keep the skin firm. Calendula sheet mask: Helps to soothe and combat dry skin by providing the skin all the moisturizing nutrients that it needs. Be the talk of the town with the “My Lips But Better” creamy tint colour balm range, created to help keep your lips looking plump and hydrated with neutral shades that enhance your natural lip colour. Formulated with Silicon Elastomer Gel to help lock in moisture and coccoid powder for a smooth no-smudge velvet finish, the colour balm glides on easily over the lips for an effortless makeup look. All colours of the MLBB Creamy Tint Colour Balm range are available in mini sizes in one convenient package, so you can rock a different shade of colour balm for every occasion. Strut into every holiday party with confidence and a lip colour that pops! Formulated by liquifying solid lipstick under low temperature, the squeeze lip tint provides highly-pigmented colours with just a single squeeze. The product is also infused with 28% Rose Water that fills in the wrinkles of lips and leaves it looking smooth and plump. 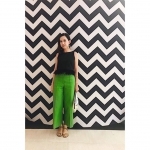 Applying a small amount of the squeeze lip tint creates velvet-looking lips while a dewy look can be achieved with a more concentrated colour. Stand a chance to win an amazing trip to Korea with purchase of any of the holiday sets from the Mamonde “Glowing Garden” Holiday Collection! 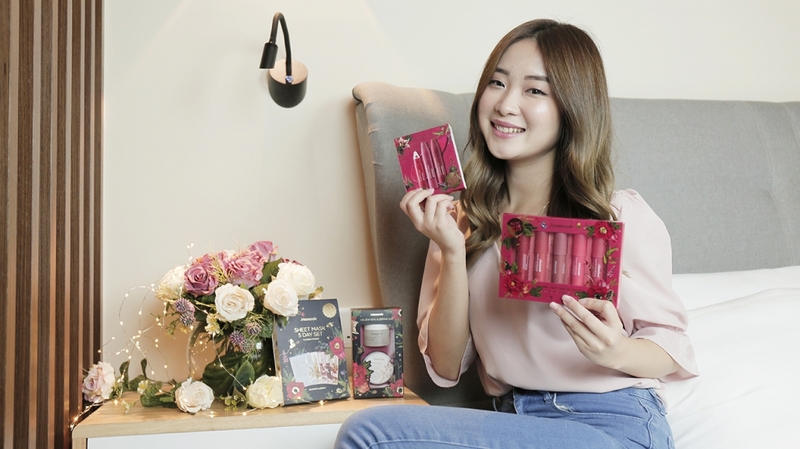 Purchase any of the holiday sets from the Mamonde “Glowing Garden” Holiday Collection (http://bit.ly/GlowingGardenCollection) from 8 November 2018 to 8 January 2019. Snap the most creative photo/video of the holiday collection that you’ve purchased. Post it on your Instagram Post or Instagram Story (it has to be public). Lastly, follow and tag @MamondeMalaysia with this hashtag #MamondeFlyMeToKorea2. 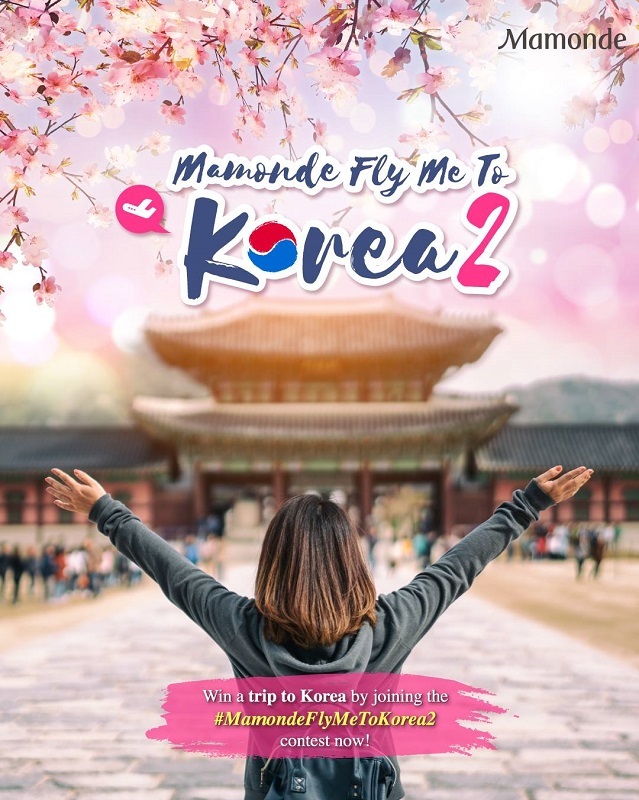 Grand Prize x 1 Winner: Return 3D2N trip to Seoul, South Korea (inclusive of flight and accommodation for 2 pax) + Mamonde Exclusive Hamper Set worth a total of RM10,000! Let your natural beauty shine through with the Mamonde “Glowing Garden” Holiday Collection! Be sure to grab the collection at the following locations before they are gone! Follow Mamonde Malaysia on Facebook and Instagram for the latest updates.